Wire the Pole: Complete wiring utilizing approved methods. 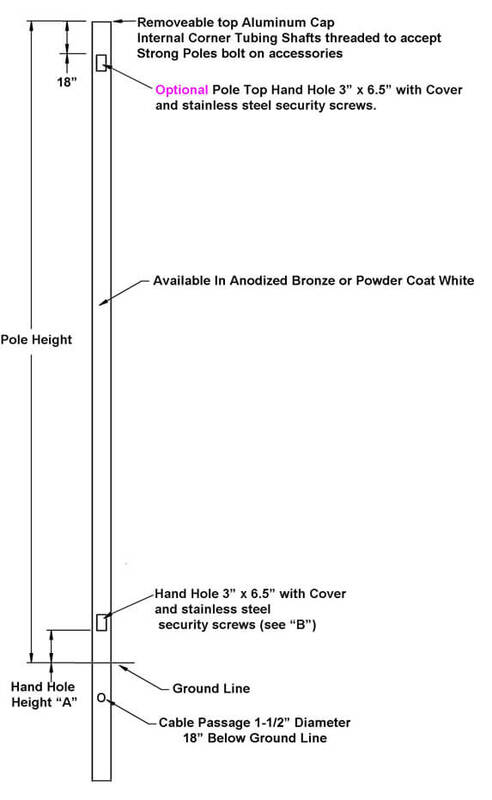 Install the Pole: In many cases aluminum poles can be manually lifted into place and inserted into the hole. Level the Pole: Use a plumb bob or level to align the pole. Backfill the Hole: Concrete is the preferred backfill material, brace pole until concrete sets. The advantages of aluminum poles make them the perfect option for direct buried applications. With a record of successful installations throughout the country, Strong Poles Aluminum Direct Buried Poles provide industry professionals with significant overall job savings. Developers and Contractors can benefit from the savings associated with the highest quality, longest-lasting and lowest maintenance. 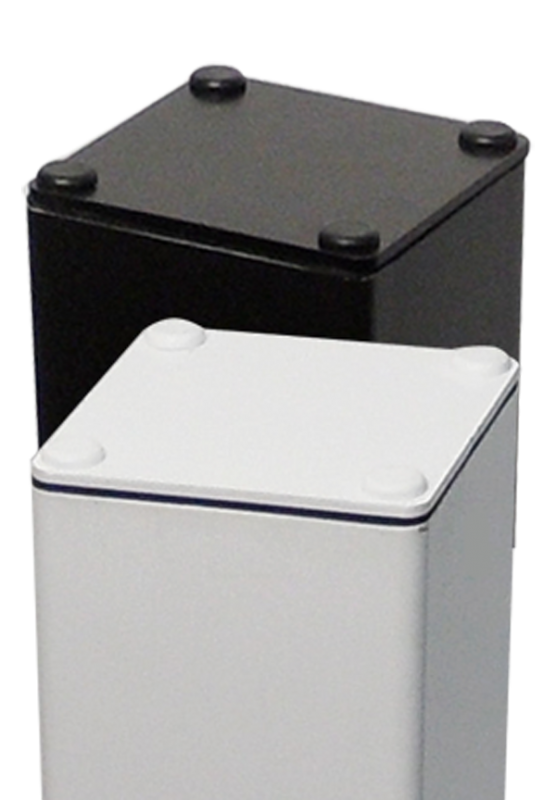 The 5″ square design allows camera mounting direct to the pole and prevents twisting once installed. Direct buried alternative for residential applications. Eliminates the need for foundations, requiring no Civil Engineer and no PE stamp, resulting in cost savings of $300 – $1000. Eliminates the need for bolt circle templates and anchor bolts. Speeds up the installation process while eliminating the additional freight charges of anchor bolts shipped in advance. Eliminates the use of shims or double nuts for leveling. Eliminates improper bolt projections that in many instances result in high and uneven base covers. Eliminates the need, time and expense to grout. Allows aluminum to be cost competitive with composite and concrete while providing a more appealing and aesthetic appearance. Eliminates the possibility of improper pouring/setting of foundation. Allows simple future retrofits by eliminating the need to match an existing bolt circle.